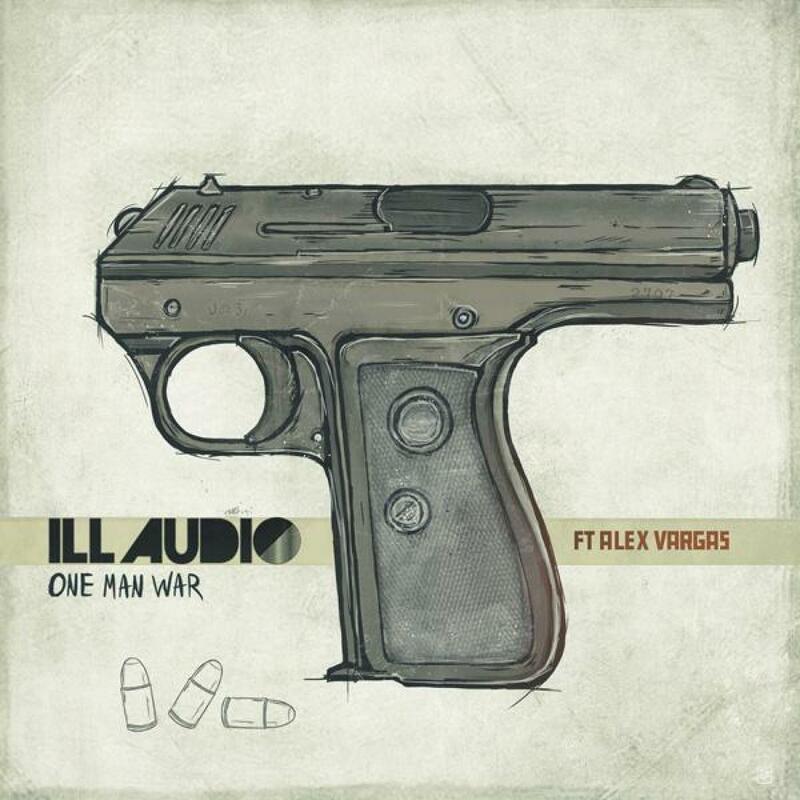 iLL Audio steps up to Distinctive once again for his third single titled 'One Man War', featuring the vocal talents of Alex Vargas, lead vocalist of Geffen signed rock band Vagabond. 'One Man War' see's the iLL Audio a.k.a Rob Blake at his most ferocious, with soaring guitar feedback, synth power-ups and and slinky guitar licks building around Vargas'catchy vocal hook and earth-pounding drums. iLL Audio has been busy at work, crafting the final details of his long awaited full length album with Distinctive. More details on that in January 2013. Back to the release: Helsinki's finest bass export, Ben Kama, delivers the first of two remixes. It's a raucous, technoid DnB version that manages to retain the soul of the original vocals and guitars whilst hammering home some serious techy funk and a hailstorm of smart drum edits. Subzee is up next. His rendition is full-on gnarly Dubstep. Twisted and distorted, this is mosh-pit material. to finish we've supplied an instrumental for the DJ's that want to play around. Produced by Rob Blake Written by R. Blake, A. Vargas . Vocals performed by Alex Vargas.